We got back yesterday after a lovely few days camping up on the Norfolk coast, so today is about catching up with laundry and enjoying the sunshine before I go back to work tomorrow. Here are a few of my favourite snapshots taken on my phone this week! 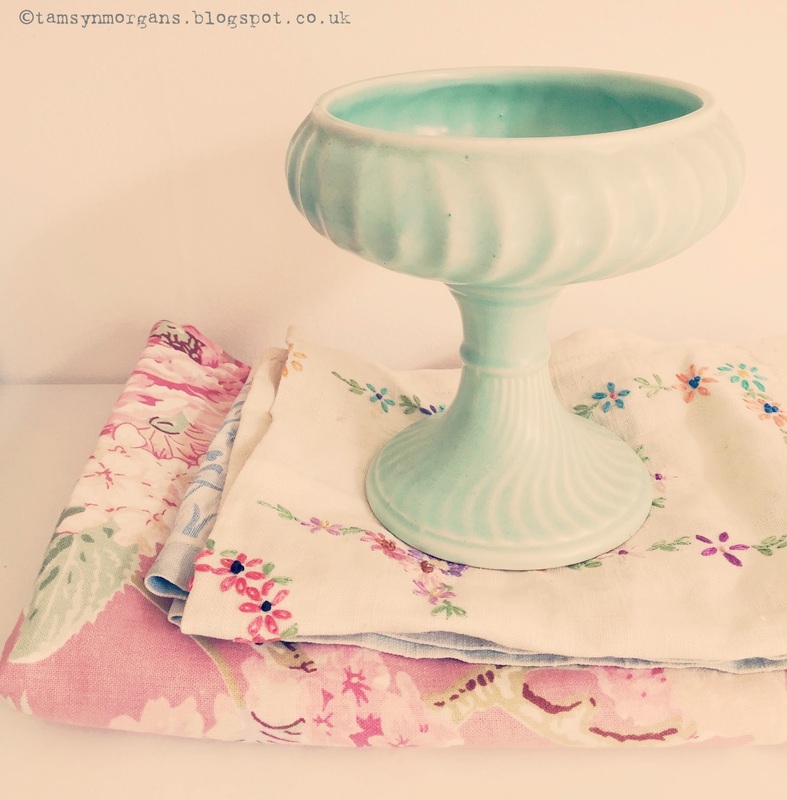 My car boot treasure from this morning, some pretty fabrics and a mint green vessel (not sure what else to call it!) 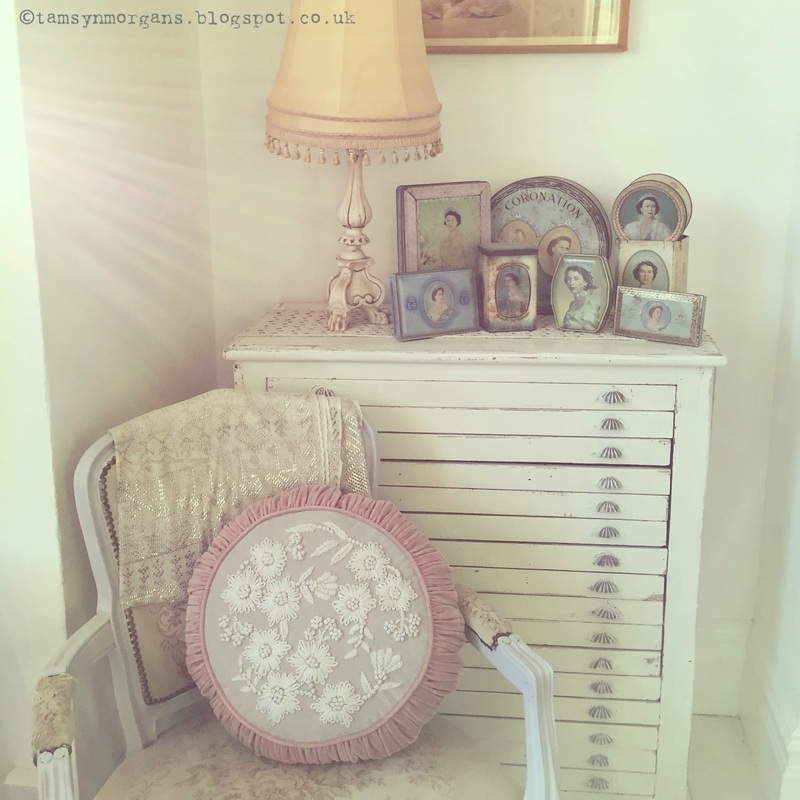 which I rather like – I think it might look nice with vintage glass baubles nestled in it. Evening rays in my living room last night – I tried to capture it on my big camera but I just couldn’t make it happen, I love the hazy light in this picture. The chair was a car boot find a couple of months ago, I’ve just painted the dark brown wood a pale grey. The beautiful cushion was a birthday gift from my dear friend Lucy, it’s from M&S and I absolutely love it. 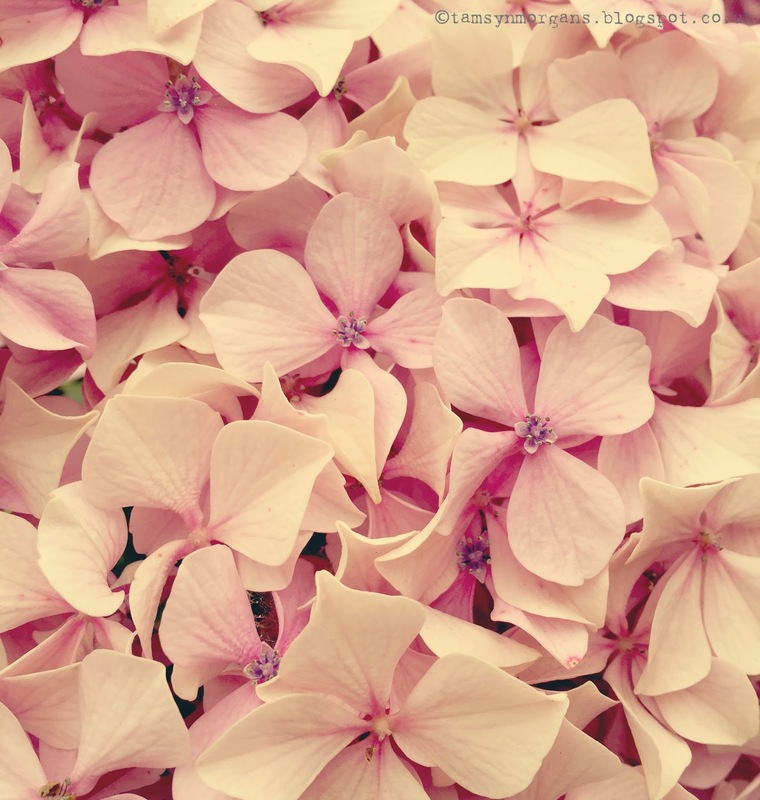 Beautiful pink hydrangea I spotted in Hastings. 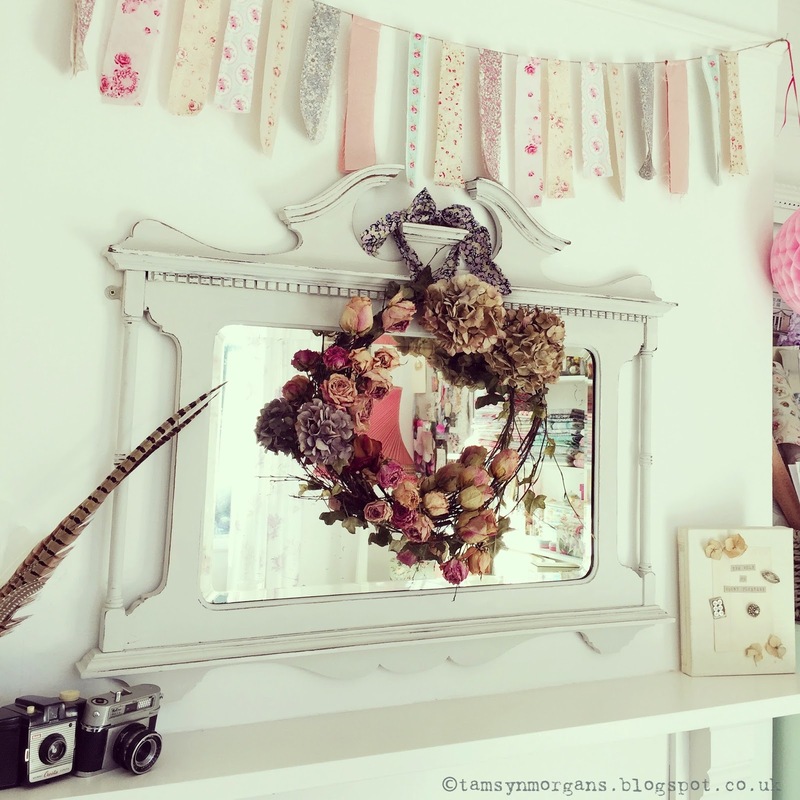 The next two pictures were taken in my craft room – I have a post up my sleeve to share with you of the updates in that room, which I will be posting this week! 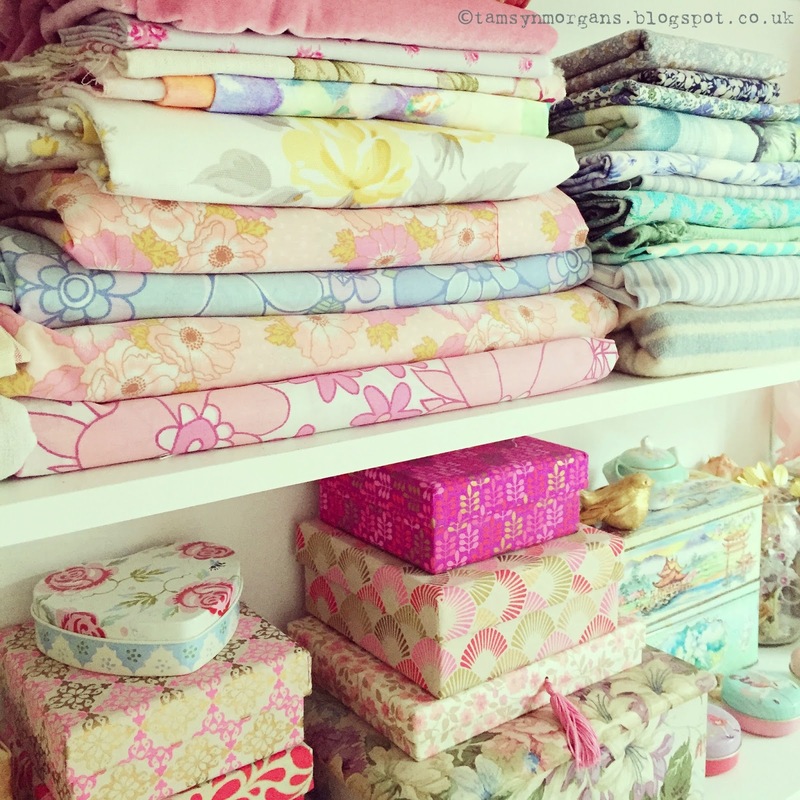 I’ve just realised this week that I’ve woefully neglected to push the fact that you can follow my blog on Bloglovin’ – you can sign up and then never miss a post from me, as they deliver it straight into your inbox – you can find me here! Is that top piece jadeite? It's lovely!